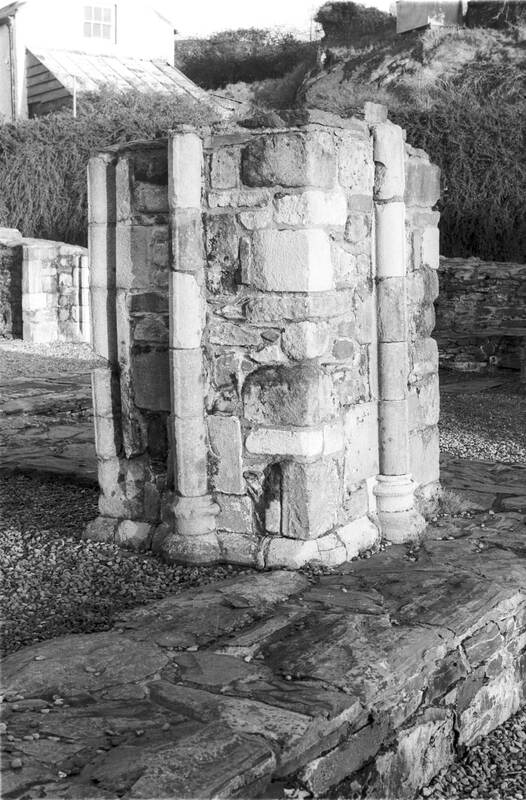 “Cistercian Abbey, Mellifont, County Louth, interior - north transept, west aisle, transept chapel, south pier,” Gothic Past, accessed April 20, 2019, http://gothicpast.com/items/show/1319. Photograph by Roger Stalley. View of west aisle of north transept showing rectangular pier in southern - most chapel. South and west elevations have filleted shafts on water - holding bases and chamfered plinth. They may have acted as responds for vault ribs above.